Ferrari There are 20 products. 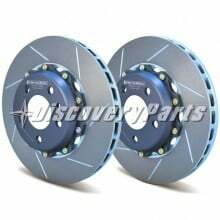 GiroDisc brake rotor upgrade kits for track Ferrari's like the 308, 360, 430, 430 Challenge 458, 458 Challenge and even the F40. 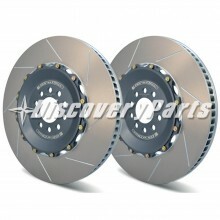 GiroDisc knows Ferrari and offers a great track worthy brake rotor upgrade. 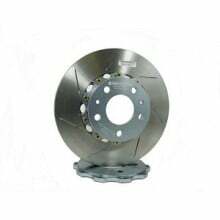 GiroDisc offers not just a quality Ferrari brake rotor replacement, but an brake upgrade that falls within a Ferrari track drivers budget. GiroDisc has the best track proven brake kits for your classic 246 Dino. The Dino 246 was the first Ferrari produced on a large scale and is praised by many for its inherent and connate driving dynamics, and now can have a Modern brake upgrade. 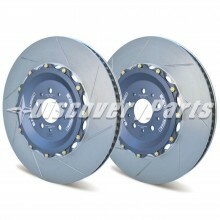 A signature feature of GiroDisc products is the race quality brake performance at a weekend track driver's budget. 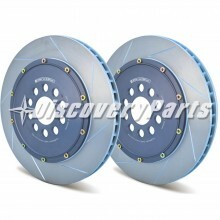 GyroDisc has the best track proven brake kits for your F119 and F129. 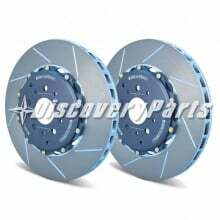 The Type F119 (348 & 355) were the first Ferrari offered with double-redundant ABS, and now you can compliment its advanced braking system with with a Modern two piece rotor brake upgrade. The 360 & F430 are the first modern Ferrari's with an entirely new all aluminium space-frame chassis, GyroDisc offers a price friendly track & performance brake rotor upgrade for your 360 or F430 application. Ferrari Daytona, the 365 was voted top sports car of the 1970s. The nickname “Daytona” arose from references to Ferrari's 1/2/3 finish in the 1967 Daytona 24. 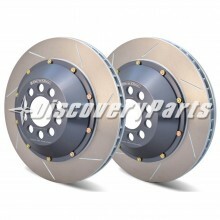 GiroDisc produced the best modern race proven brake kits for you classic 365 GTB/4 or GTS/4. 430 Scuderia was serving as the successor to the Ferrari 360 Challenge Stradale, the 430 Scuderia is the ultimate streetable track day 430. A signature feature of GiroDisc products is the race quality brake performance at a weekend track driver's budget. 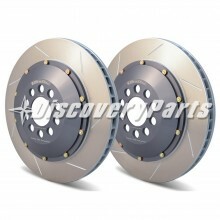 GiroDisc has the best track proven brake kits for your Scuderia. 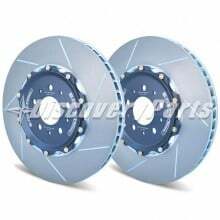 The best race quality brake kits for your Ferrari 458 Italia, the last naturally aspirated V8 Ferrari. 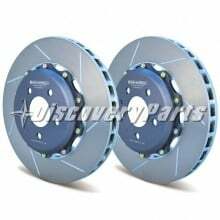 Gyrodisc brake rotors are track proven and fall within a weekend track drivers budget. 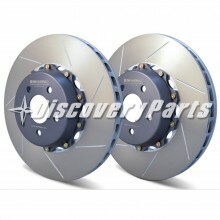 Fitting your Ferrari 456 GT, GiroDisc manufactures the best track brakes for your Type F116. 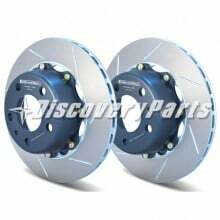 A signature feature of GiroDisc products is the race quality brake performance at a weekend track driver's budget; perfect for the first modern V12 ferrari. The Ferrari F141 debuted in 2006 as the brands flagship V12 model, its 5999cc engine made it the most powerful Ferrari at the time and one of the first naturally aspirated cars to exceed 100hp/litre. The 599 GTB Fiorano can be greatly complemented by GyroDiscs race proven two piece rotor upgrades. The Ferrari 355 Challenge is a single-marque motorsport championship which has inspired other national club-level championships that are not affiliated with Ferrari S.p.A. itself. 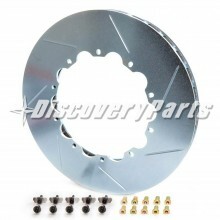 GyroDisc produces a race proven upgrade for both professionals and weekend track enthusiasts. The Ferrari 360 Challenge is a single-marque motorsport championship which has inspired other national club-level championships that are not affiliated with Ferrari S.p.A. itself. 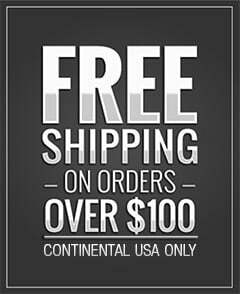 GyroDisc produces a race proven upgrade for both professionals and weekend track enthusiasts. 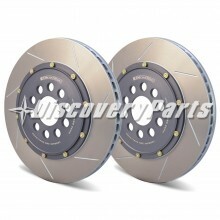 F430 Challenge Gyrodisc produces high quality racing brakes to give you the competitive edge in your F430 Challenge car. The Ferrari Challenge is a single-marque motorsport championship which has inspired other national club-level championships that are not affiliated with Ferrari S.p.A. itself. The 458 Challenge is a factory racecar designed for competition within the Ferrari Challenge series. 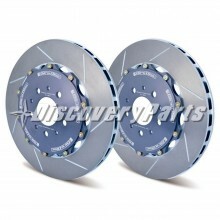 GiroDisc has the best race proven 2 piece brake rotors for you 458 challenge race car.